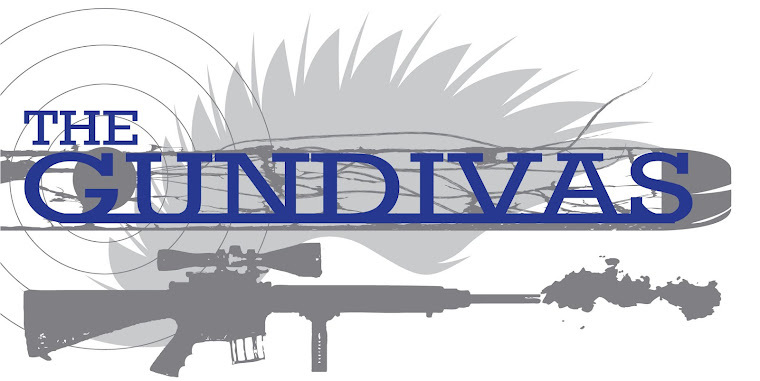 The GunDivas: The First Rule Of Firearm Safety? "The Gun Is ALWAYS Loaded!" This is a sticking point in our house. Even at work, where Dear Husband KNOWS the guns in the case are unloaded and confirmed "clear", he still racks the slide and physically LOOKS in the chamber to make sure. Why? Because you never assume something is unloaded. That leads to Negligent Discharges. And Negligent Discharges Lead To Injury and Death. -THEN hand it to the other person, with the slide locked back. And ONLY then. I heard a story not long ago about two people who are both Firearms Educated. One uses a handgun for a living. One shoots on a regular basis. Both know the Golden Rule that A Gun Is Always Loaded. A moment of inattention caused a Negligent Discharge to occur. Think about it folks-- once that projectile leaves the barrel, there is no getting it back until it comes to a rest. Why am I not calling this an accident? Because plain and simple, it was not. It was negligence on BOTH parties part. The original gun holder for ONLY dropping the magazine and NOT clearing the chamber, and the receiver for NOT taking a moment to clear the chamber. Thank you Mrs Mom. This is a huge sticking point with me as well. Negligent discharges scare the hell out of me. Luckily, I've only been near one and the gun was being handled by a supposed former SEAL. My friend and I were lucky that neither of us were hurt when this bozo squeezed the trigger (which he denies ever doing). A little bit of gun etiquette goes a long way. My dad was a cop. He sat at the kitchen table to clean his service revolver. Mom yelled at him to take it down to the basement. He laughed and said, it's not loaded. Two seconds later a shot rang out. Damn! Last time he ever cleaned the gun in the house. And, yes, he should have known better.